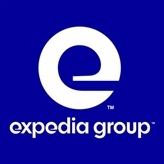 The Lodging Shopping team is dedicated to making the best experience for travelers to book for their next vacation or trip. As a Software Engineer II on the team you will be involved in all aspects of software development, including participating in technical designs, implementation, functional analysis, and release for mid-to-large sized projects. You will be joining a passionate team of makers that have a deep respect for craft of software development. The team works in autonomous fluid squads that are empowered to creating the best solutions for the problem at hand.